Our 3rd Quarter focus has been on how to Prepare Your Platform. 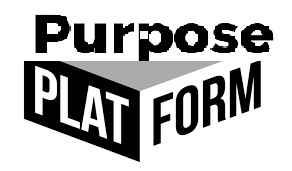 I will share ways to put your purpose on platforms. Your purpose has elements of your DNA. You were born and designed to “Do something with your Natural Abilities.” I will also share some secrets on how to recognize your God given purpose so that you may prosper. 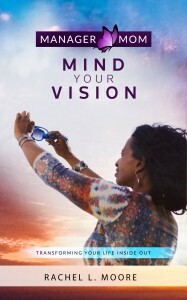 Get in Paperback or Kindle on AMAZON.COM and at Manager Mom Mind Your Vision Book | Moore of Rachel, Inc. It was a long drive. Our bodies were tired, and we were happy to check into the hotel. After what seemed like only a few minutes of rest, I was awakened at 4:30 in the morning by a phrase ringing in my head, and it would not go away. Since I could not sleep, I sat up in bed and began to type the words that flowed from my mind as fast as I could capture them. “Manager Moms” was the phrase. In this book, you will learn what “mind your vision” is all about. A manager mom is who I am, and “mind your vision” is what I do to live a life of fulfillment. As you read this book, you may recognize a part of yourself in my story. Regardless of where you are in life, once a mom, always a mom. You, too, are a manager mom. 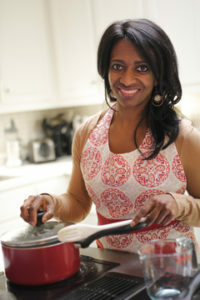 This year, my plan is to connect with you at least once a month via newsletter, my blog and/or on Facebook.com/mindyourvision. The monthly newsletters will be to provide a brief update on the happenings in my life and business, and to provide you with recommended resources. Important tips and teachings will be listed within the Inspiration Station section of the newsletters to assist you in reaching your life matrix goals this year.